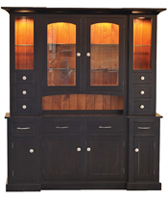 China Cabinets and Hutches – Amish Crafted for Your Home! 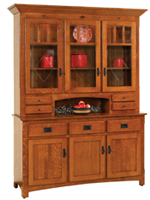 The china cabinet has its roots in the lowly “cup board” fastened to the kitchen wall. Larger kitchens allowed for additional cabinets to store china “Sunday dishes.” Glass doors permitted display, and lights improved the whole concept. 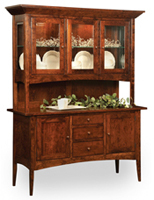 Here we are today with many options from Early American to Contemporary to Custom. 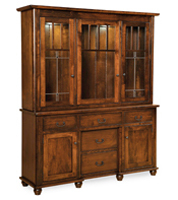 Browse our options below and contact Alegacy Furniture to discuss the size, wood, and finish possibilities for your home!